According to the 2018 Construction Design Outlook webcast presented by ConstructConnect, the Associated General Contractors of America (AGC) and the American Institute of Architects (AIA), the forecast for construction in 2018 is expected to remain strong. Ken Simonson, chief economist with the AGC, is forecasting a 2 to 7 percent increase in construction spending for 2018. Since 2015, the construction industry has seen significant growth, and according to the joint forecast, it isn’t slated to slow down anytime soon. Looking back, construction spending through October 2017 totaled $917.0 billion, an increase of 4.3 percent over 2016. Furthermore, construction starts increased 7.9 percent over 2016, rising to $737.8 billion. Through an integrated and model-centric building information model design platform, Prescient is able to revolutionize the way buildings are designed and built. This approach allows new levels of cost efficiency, environmental sustainability and quality. Additionally, the company’s three-prong proprietary Digital Thread ensures buildings perform better, cost less and take less time to build, substantially reducing development risk. From initial planning stages all the way through final construction, Prescient’s platform is well-suited for multi-unit projects, including apartments, student housing, hotels, military and senior living – many of which fall under the category of U.S. infrastructure projects. By transforming the multitude of required steps into one seamless process, developers, designers, suppliers and contractors are in sync throughout the overall project. The end result is a virtual model that matches the finished building. On-site structural and engineering details are captured in a fully detailed, 3-D virtual model during the earliest stages of the design process. Then, the manufacturing process yields components of precise specifications and dimensions to be seamlessly carried through from design to production roll formers, welding robots, and laser cutting and machining systems. 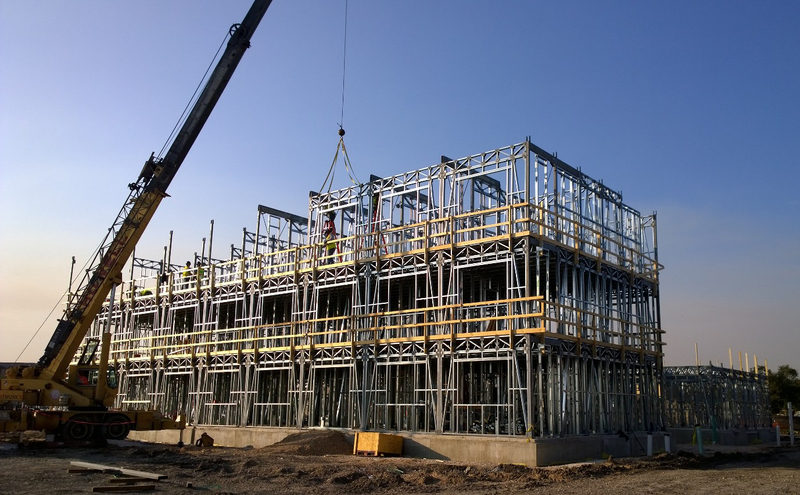 Finally, Prescient’s platform saves months of on-site construction because the structures aren’t built – they’re assembled. Each component has a unique location on the Prescient Smart Grid for easy and efficient installation. Prescient’s headquarters are in Durham, N.C., with manufacturing facilities in Colorado and North Carolina. Agustin Rayon, director of engineering at the facility in Arvada, Colo., oversees process engineering, production engineering and new product development. A few of the company’s recent student housing projects include Yetter Hall at Colorado Christian University in Lakewood, Colo.; Uncommon Tampa at the University of South Florida in Tampa, Fla.; and the Central District Dorms and Central District Apartments at the University of Kansas in Lawrence, Kan. 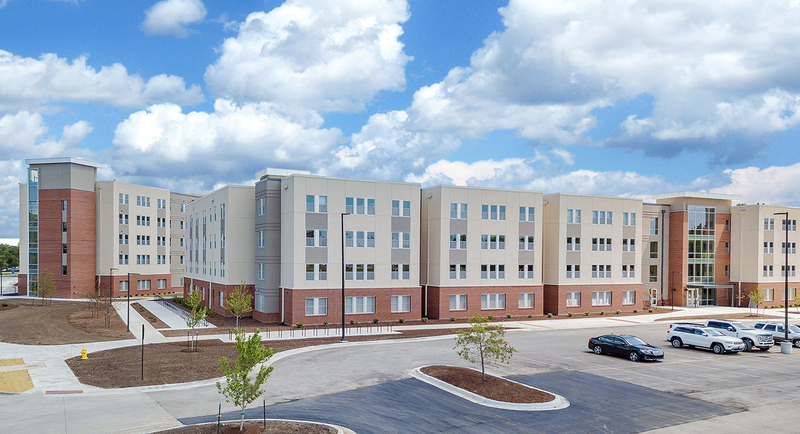 The University of Kansas Central District Apartments and Dorms projects combined totaled 543,000 sq. ft. with a bed count of more than 1,200. The project for Prescient was 35 weeks long with a total construction schedule of 28 months. To adhere to tight schedules often required for student housing, Prescient offers a fully integrated construction platform. With school starting in the fall, colleges and universities cannot afford to have schedule delays. This was an essential part of why Prescient landed the University of Kansas project. Prescient’s solution utilizes schedule compression to accelerate the construction schedule. The Prescient system enables projects to be delivered in 12 months or less. 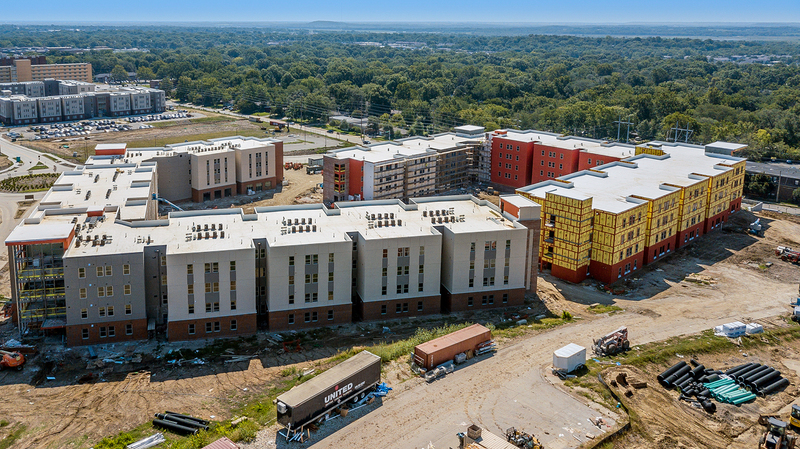 Without the Prescient system, the University of Kansas Central District project would not have finished on time. The general contractor on the project, Christ Hirst, senior vice president of CBG Building Co., explains. 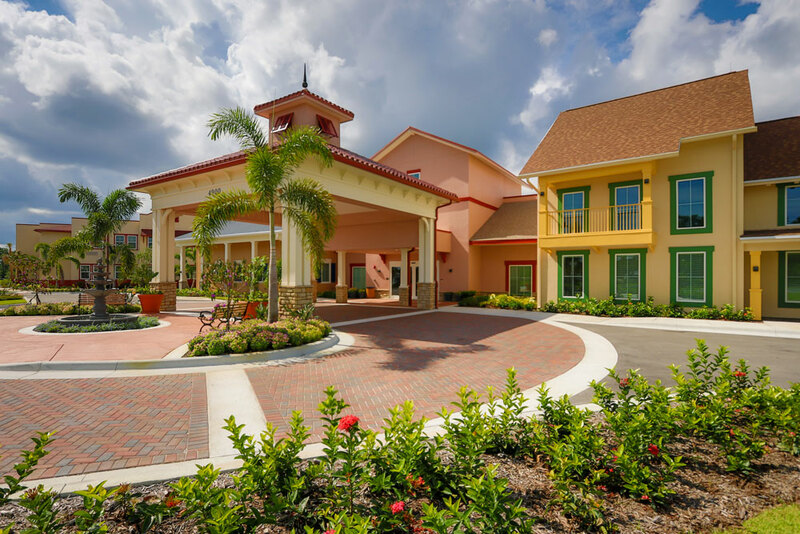 “We converted multiple projects from other structural systems to Prescient for the simple reason that we could not have been able to finish the projects on time and on budget without Prescient on the team,” he says. One aspect Prescient is able to capitalize on is the company’s innovative manufacturing process that carries parts from design to production. 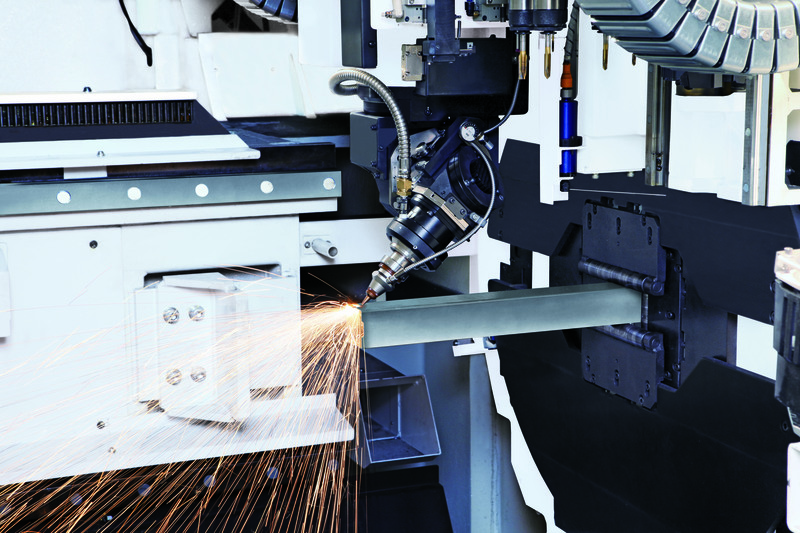 And the company’s most impactful piece of equipment is a Mazak 3D Fabri Gear 220 laser cutting machine, which is involved in all of Prescient’s projects. Because Prescient was dealing with challenging material, the Fabri Gear was a perfect solution. The Fabri Gear automatically and continuously 3-D laser cuts complex features in long structural material, fitting well into Prescient’s wheelhouse for completing large infrastructure projects. The equipment is geared toward companies like Prescient that are involved with large-scale construction work. The Fabri Gear 220 is a machine with extensive capabilities making it suitable for a variety of infrastructure applications. It can process tubes and pipes, including round, square, rectangular and triangular, and can also handle I and H beams, C-channel, angle iron plus additional user-defined shapes in mild steel or stainless steel. With 6-axis laser cutting, users can cut at any desired angle for weld prep and achieve the highest accuracy for easy fit-up of assemblies – all in a single program cycle. Program-controlled loading, workholding and unloading make it an efficient fabrication cell requiring minimal labor input for small to large volume part production. The Fabri Gear 220’s broad range of capabilities allows companies like Prescient to bring more cutting in-house. By keeping work in-house, Prescient can better manage and meet its tight, self-imposed deadlines. Previously, the company was outsourcing part of its stair manufacturing line, but that is no longer the case. Since implementing the Fabri Gear for cutting and drilling, the biggest impact Prescient has seen is cost savings. “For the holes in particular, because this is non-contact technology, compared to drilling, the consumables are more predictable which reduces the cost of operation,” Rayon continues. He says that the cost savings will go back into the company’s employees through training, allowing them to expand their knowledge and skills. As construction projects continue throughout the United States, companies in that space will continue to seek out competitive advantages. For Prescient, that competitive edge comes from its unique schedule compression and digital thread efficiency as well as its use of sophisticated equipment. Article published in the January issue of FABshop Direct Magazine.